Found this cool image on the Green Bay Bicycle Collective site from 2017. You have your New Year’s Resolutions list. Your have your Level 10 Life chart with some goals. And you have a bicycle. Or you’re going to get one. Or you can use bikeshare in your town. Whatever the system may be that reminds, inspires, rewards you with the endorphins you get from riding your bike and another little hit created by that “I did it!” feeling of triumph, this is your list. This is not the “Ultimate Cycling Challenges List” that requires you to ride straight up mountains really fast. It’s also not the “Best Bike Challenges You’ve Never Heard Of” list, although I’d love to learn about bike challenges I’ve never heard of so leave those in the comments and I’ll add them to the post. And it isn’t “Bike Fitness Challenges for Your Health“, although bicycling is certainly good for your health. What it is: A roundup of the kinds of bicycling challenges with low barriers to entry that can build a sense of community through participation in a shared endeavor. Just say you’re doing it, no entry fee, no app required, maybe some prizes and maybe not. Any time during the cold months, really: Icy Bike Winter Commuting Challenge. This functions as a Facebook group; you sign up and log your miles and weather conditions. Feb. 8, 2019: Winter Bike to Work Day. Always the first Friday in February. Dates TBA: Errandonnee. DC rider/blogger/Inventory of Fun Informal Challenges Mary Gersemalina created errandonnee in a mash-up of errand + randonneuring. The 2018 errandonnee post will give you an idea of what’s involved — rules get tweaked a bit each year. Basically you bike to a variety of destination types over a specific time period. #30DaysOfBiking: So easy. No, really. Just ride every day. Totally counts if you ride to the end of the driveway and back, put your bike on the trainer and spin while you binge on Netflix or Hulu, take a quick Tour de My Block — however you turn your cranks, it counts. Bike Everywhere Challenge: Near and dear to my heart, considering I worked on Bike to Work Week celebrations as some of my first bike advocacy in Spokane and this put me on the path to a change of city and more than one career change. May is recognized as National Bike Month with a nationwide challenge promoted by the League of American Bicyclists that continues for several months. In Washington we call it #BikeEverywhere Month and Cascade Bicycle Club runs a statewide challenge, along with helping Washingtonians find any challenges in their hometowns. I sign up faithfully every year and ride. How could I do otherwise? May 8: National Bike to School Day. Good for teachers, principals, aides, volunteers, coaches, parents as well as kids! Register your school, maybe help lead a bike train so more kids can roll. May 11-12: Cyclofemme. Challenge meant to inspire women to invite other women to ride with them on the weekend that includes Mother’s Day in the US. I love this for its statement of inspiration — WE BELIEVE: That strong communities are built around strong women. That being on a bike brings us closer to our community, to nature, and to ourself. That from action comes change. That our hope, courage, and strength is amplified when we unite. May 12-17: National Bike Week. Some places set their own dates for this. As I repeat quite often, join your local/regional/state/national bike organization. That way you’ll get news about this and so much more. May 17: National Bike to Work Day. Always the third Friday in May. 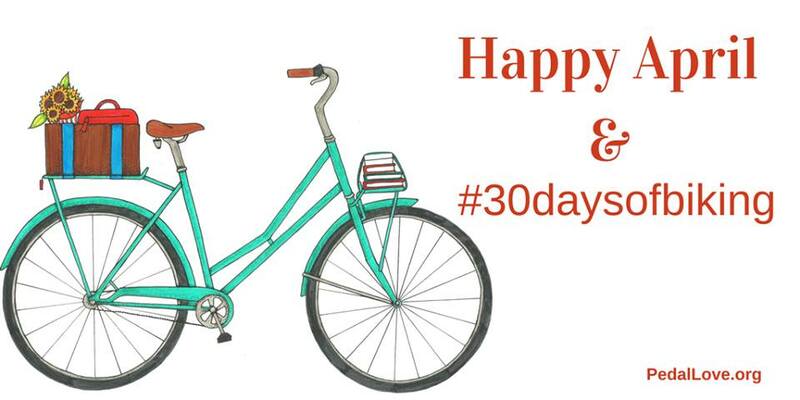 You could also make this a #30DaysOfBiking month to keep rolling from #BikeEverywhere Month. Dates TBA: Coffeeneuring usually falls somewhere in this time frame. 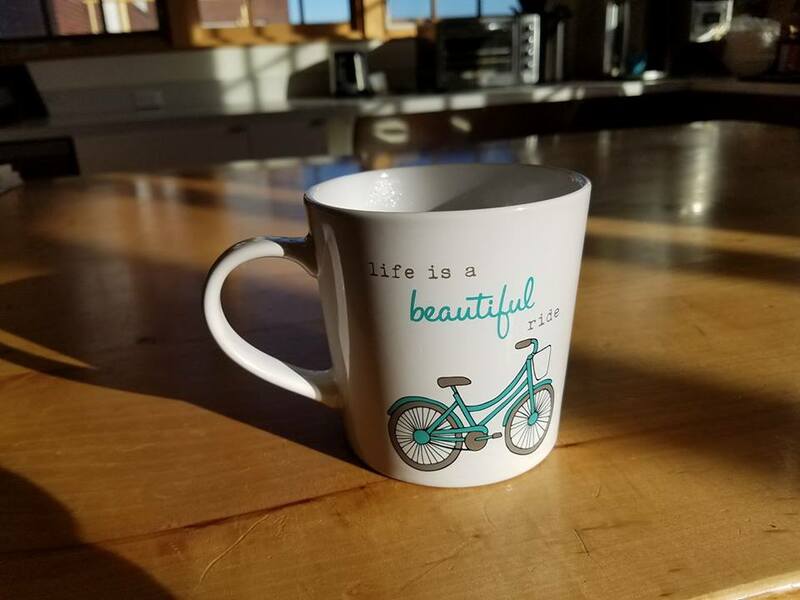 Another Mary Gersemalina creation, this is randonneuring for coffee and/or other beverage. The 2018 rules give you an idea of what to expect. Walktober: To change things up a bit you can also challenge yourself to walk more in October. Look for Walktober events and National Walk to School Day October 2. All month long: #RideInTheRain. This one is promoted by Washington Bikes but there’s no reason it has to be confined to the Evergreen State. Note: No requirement for actual rain affecting the length or timing of your ride. #WinterWheelers: This popped up this year in the Love to Ride app you’ll already be using for #BikeEverywhere, #RideInTheRain, and National Bike Challenge. However you get rolling, bicycling offers challenges and tracking of various levels of difficulty and complexity. How about you? Are you a tracker? Like/love/hate/ignore challenges? What structure or theme motivates you, if any? 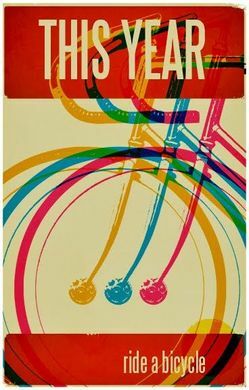 Previous post: #BikeIt: What’s On Your List?